Cookies have been exploding out of my kitchen lately. These cookies are just one of the many batches I have made. 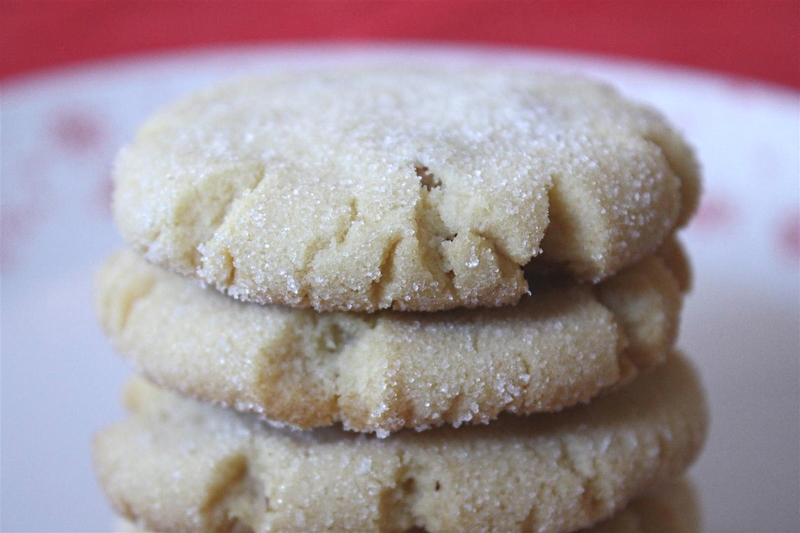 Delicious brown butter is combined with hazelnuts into a sweet sugar cookie dough. The one thing I like about this dough is that it does not have to be refrigerated before using. I love a good cookie dough that does not have to be refrigerated. Do you agree? Is it just me? I hope everyone has started their holiday baking and if not you should give these delicious beauties a try. It has brown butter in the title….how can you go wrong? Also please do not forget about the Christmas All Through The Year Cheer Event! The MckLinky will be up December 19th! Adjust oven rack to middle position and heat oven to 350 degrees. Line 2 large rimmed baking sheets with parchment paper. Whisk flour, baking soda, baking powder, and salt together in medium bowl. Set aside. Place 1½ cups sugar, hazelnuts, and cream cheese in large bowl. Place remaining 1/3 cup sugar in shallow baking dish or pie plate and set aside. Heat butter in 10-inch skillet over medium-high heat until melted, about 2 minutes. Continue to cook, swirling pan frequently, until butter is dark golden brown and has nutty aroma, 1 to 3 minutes. Pour butter over sugar and cream cheese mixture; whisk to combine (some small lumps of cream cheese will remain but will smooth out later). Whisk in oil until incorporated. Add egg, milk and vanilla; continue to whisk until smooth. Add flour mixture and mix with rubber spatula until soft homogeneous dough forms. Divide dough into 24 equal pieces, about 2 tablespoons each. Using hands, roll dough into balls. Working in batches, roll balls in reserved sugar to coat and set on prepared baking sheet, 12 dough balls per sheet. Using bottom of drinking glass, flatten dough balls until 2 inches in diameter. Sprinkle tops evenly with 4 teaspoons reserved sugar (2 teaspoons per tray), discarding any remaining sugar. Bake, 1 tray at a time, until edges are set and just beginning to brown, 11 to 13 minutes, rotating tray after 7 minutes. 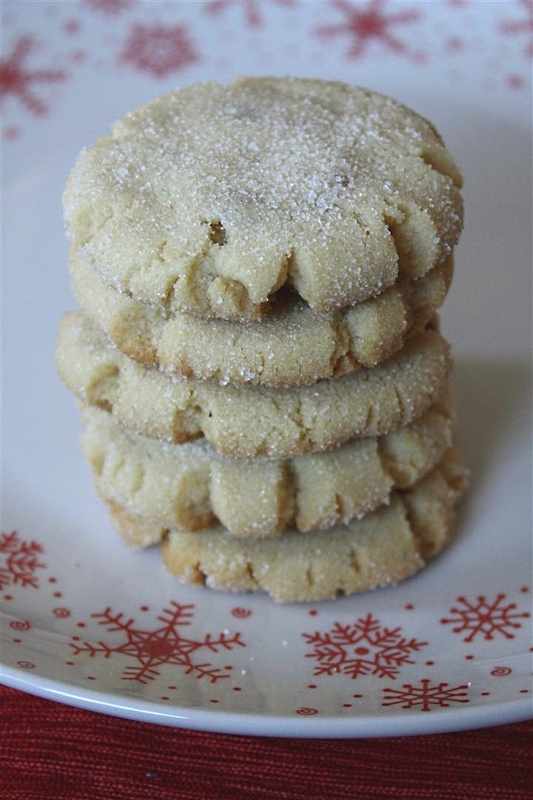 Cool cookies on baking sheets 5 minutes. Using wide metal spatula, transfer cookies to wire rack and cool to room temperature. Posted in Cookies. Bookmark the permalink. Wow, these cookies sound fantastic! The ingredient list alone has my mouth watering! They look like perfect little treats! Oh what a fabulous combination! I love browned butter stuff, it’s always so good, and hazelnuts are the bomb! I have started NOTHING because I am totally and utterly negligent. Sad but true. But it’s actually quite awesome because it means I still have room in my life for these cookies! Love the flavor combo…I’ve been obsessed with hazelnuts lately! These sound wonderful with hazelnuts and brown butter! These are so festive. Just perfect for the season. hazelnuts are woefully underused, wouldn’t you say? lovely cookies, brandy! Look and sound delicious. I love hazelnuts! I love everything I’ve ever made from Cook’s Illustrated – those look delicious! I bet the nuttiness of the brown butter goes so well with the hazelnuts…delicious! these cookies are adorable. i really like the flavor of hazelnut but haven’t actually made anything that has hazelnut as a main ingredient! happy holidays, nutmeg nanny!